+ And the nation votes Elizabeth Taylor as the person most associated with sophisticated jewellery whilst Kim Kardashian takes the “Queen of Bling” crown. It’s official! 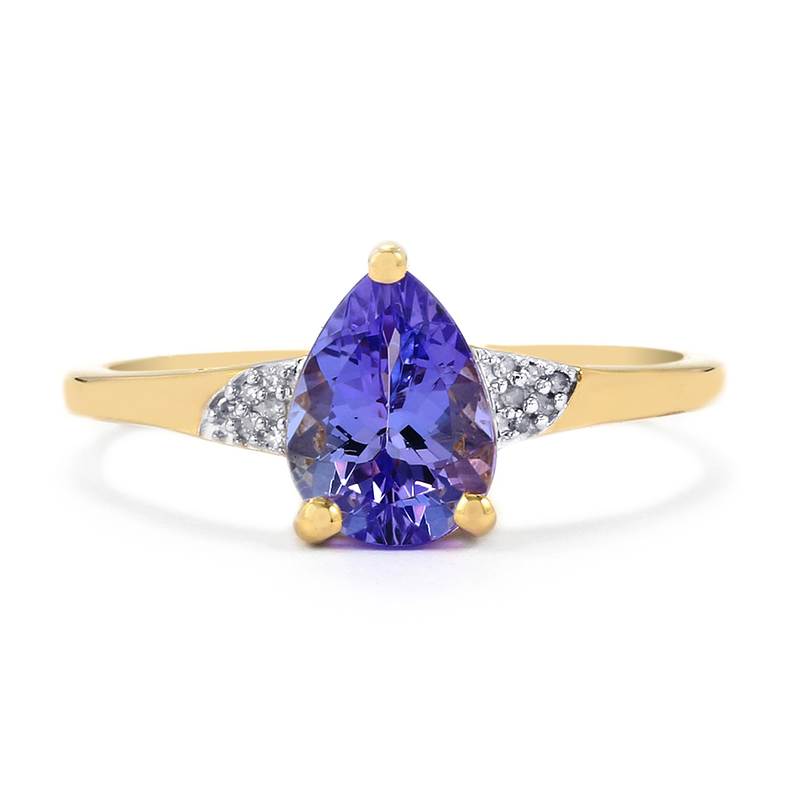 “Diamonds are a girl’s best friend” and British women’s favourite choice of gem to wear, but Tanzanite comes a close second according to research published today by leading UK online jewellers Gemporia (www.gemporia.com). The research was conducted amongst 1866 women across the UK, aged between 18-80, and revealed that nearly a quarter (22%) of respondents chose diamond as their top gem, with even more in Wales (three in ten) choosing this as their favourite. Whilst diamonds are ‘top of the rocks’, the blue Tanzanite gem was voted the second favourite gem (16%) across the whole of the UK but is the Number 1 gem for women in the South and South-West of England. Despite Tanzanite being a fairly "new" gemstone, discovered in 1967, the blue gem has quickly become popular with modern stars and celebrities including Penelope Cruz, Cate Blanchett, Beyonce, Anne Hathaway and the Duchess of Cambridge. + Emerald is Britain’s third most popular gem (10%) followed by Opal (8%) and Sapphire (8%). + Londoners prefer Emerald and Amethyst as their second and third choice respectively. + Asked about their motivation for choosing their favourite gem, four in ten women responded because ‘they love the colour’, a further 14% stated because it looks classic, with women in the Midlands and Wales placing slightly more importance on the classic attributes (18%). + Women in London placed equal importance on jewellery looking classic and making them looking glamorous compared to other women across the country. + In contrast when women were asked which celebrity is best associated with ‘bling’ Kim Kardashian was voted no 1– with Rihanna and Liz Taylor (despite the sophistication) also frequently named. 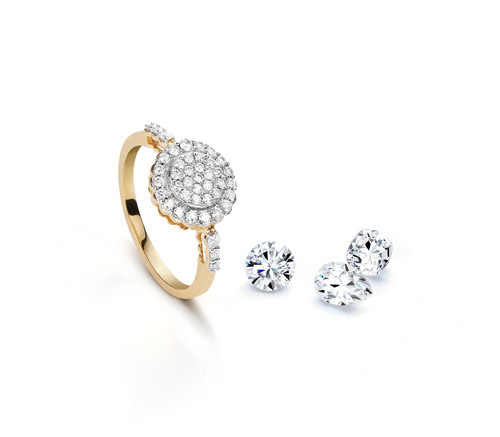 + Half of respondents said they are prepared to spend up to £150 if they are buying jewellery for themselves, with a further quarter saying between £150-300 and more than a tenth saying £300-500. + However, when it came to spending on family or friends, more than two thirds (67%) are prepared to spend up to £150 on them, with just under a fifth saying they would spend £150-300 and only 6% prepared to spend £300-500. Gemporia is a leading British TV and online jewellery retailer, with turnover of £67.2m*, dedicated to making genuine gemstones available to all. The precious limited-edition gemstone jewellery, priced from £29 to £15,000, is sold online at Gemporia.com; on TV via its dedicated jewellery channel Gems TV; and via the Gemporia App. Gems TV is hosted by a team of gemstone experts, selling exclusive pieces in a reverse auction format, where the price of the piece continues to fall throughout the auction, and all buyers pay the final low price. Gemporia’s highly skilled gem hunters travel the world to find the finest ethically-mined precious gemstones, sourced directly from the mines whenever possible. Ethics and people are an integral part of everything Gemporia does, and in 2012 Gemporia set up the Colourful Life Foundation, an independent charity focused on improving health and education facilities for the adults and children who live in the areas it works. This press release was distributed by ResponseSource Press Release Wire on behalf of Minx PR in the following categories: Women's Interest & Beauty, Retail & Fashion, for more information visit https://pressreleasewire.responsesource.com/about.